Boxing classes in Norcross GA 30071 at Tapout Fitness 24/7 gym are the best in the city! Come try a free class today! Boxing is a great workout. Burns tons of calories, lose weight, gain confidence, and get the body of a fighter! Our expert boxing coaches know how to ensure that you learn great skills that you can apply both in the ring and in daily life, as well as giving you a workout that will have you in AMAZING shape in no time at all! Just show up and you WILL get results! TAPOUT boxing coaches are the best in the business. We understand how to stay true to technical boxing instruction, while giving you an amazing workout. TAPOUT classes take place at a wide variety of times, starting early morning and running thru the evening as well as weekends. TAPOUT membership rates are reasonable and give you lots of value for your money. TAPOUT has a 24-hour fitness center with all the equipment you would find at other gyms that do not offer the specialized group fitness programs, and our rates are frequently lower! TAPOUT has amazing staff, personal trainers, and one on one boxing coaches if you are looking to take your fitness to the next level! 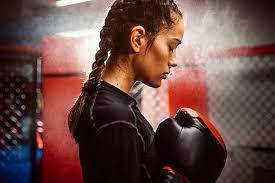 Tapout Fitness 24-hour gym has the best boxing classes in Norcross GA 30071! Come check us out today and see why our Atlanta area gyms (Sandy Springs, Norcross, Woodstock) have such great Google and Facebook reviews!